Christie Lodge offers more than just spacious suites and convenient amenities that make you feel at home. Our meeting space is tastefully appointed, making it perfect for large and small gatherings of all types, including weddings, birthday parties, family retreats and company meetings. Choose from our intimate Lynn Weas Room that offers 900 sq. 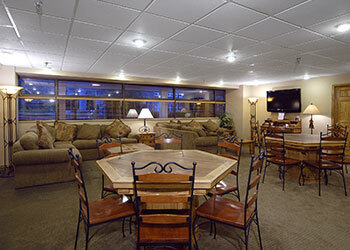 feet of versatile space or the spacious Beaver Creek Room with 2,310 sq. feet for larger gatherings. Full audio-visual equipment rental is available, and outside catering is permitted. **Please note: No alcohol is permitted without a valid certificate of insurance indemnifying Christie Lodge from liability for accidents due to alcohol consumption during your event.